There are so many items in our daily lives that we totally take for granted. As we’ve traveled over the course of the past 11 months, it’s been a fun exercise to consider what 5 items I am most grateful for, specifically for this adventure. This is by no means an exhaustive list, but a group of things that I am very appreciative to own that could easily go unnoticed. It’s the next best thing to alone time. 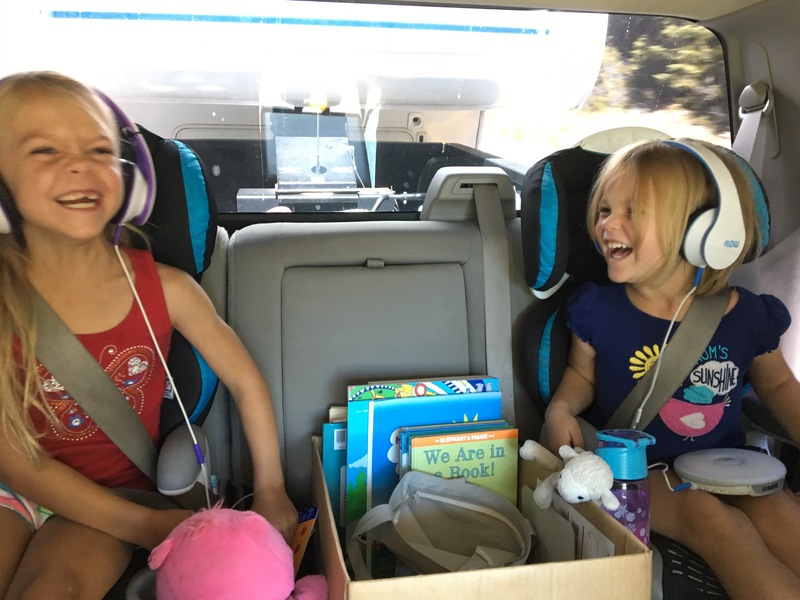 These electronic accessories have provided relief for all of us on almost every car ride. A “short drive” for us between locations is anything under 3 hours, and we’ve clocked some that sneaked up past 7 hours. We limit how often the girls can use a screen to watch shows or play games, but they each have their own disc man and can listen to music all they want. (Anything to encourage gazing out the window at the world going by is a win in our book.) So not only does it offer a fun diversion for them and an electronic device that they can use at their own discretion, when they both choose to listen to their music (or we demand it) it also offers Brad and I some quiet time in the truck to do our own thing or enjoy adult conversation – something we have really appreciated this year during our travels. so so so helpful – thank you, O’Banions! Our great friends the Obanions gave us these as a gift right before we hit the road. 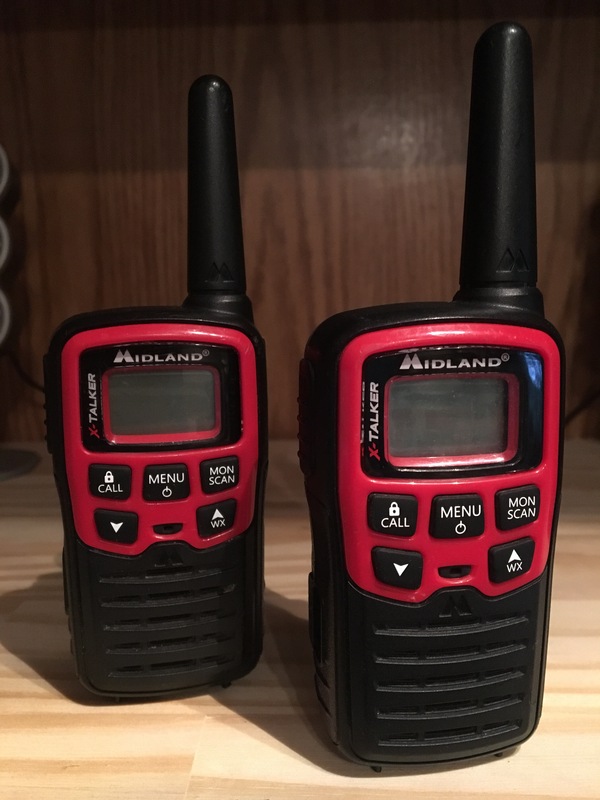 They are amazing because they are rechargeable, so they have completely replaced some older walkie talkies we had that were total battery-eaters. At first we were excited about them for the independence they offered the girls – they can take off on their bikes with these in tow, and we are able to talk to them at all times. We’ve also ventured into the realm of independent campground playground time as long as everyone is connected via their Walkie Talkie and their super secret code radio handles. An unexpected and arguably even more helpful use for these has been for backing the trailer into campsites. When we first practiced maneuvering Stumbo, we worked on consistent hand signals, thinking that would be our main mode of communication. But the Walkies have made hooking up and unhooking much more efficient – from backing into a campsite, to leveling, to conversing as we do various inside/outside jobs to set up camp, to random drives through rural New York State where you come upon a farmer who says, “I just spilled oil across the road, so you can’t drive here.” One of us can just hop out with a walkie and have no trouble navigating for the other lucky person who gets to back our rig down the road to avoid the obstacle. It’s simple…but it all matches! Organization win! I can’t even tell you how great it felt to get rid of all the random mis-matched plastic containers from our home kitchen before this trip – some we had received as wedding presents, some were potluck orphans, and others were just plastic food containers that we kept. All the mismatched tubs… all the random lids…some were similar but not interchangeable…and how they all created a giant mess of plastic in a giant kitchen drawer…I miss none of this! Before we left we dumped it all and purchased a few sets of all the same type. When empty, the lids stack and snap together, as do the tubs, and when filled they can also be stacked. Only 2 sizes of lids means that they are interchangeable, and their stacking is great for on the road or for in the cabinets. 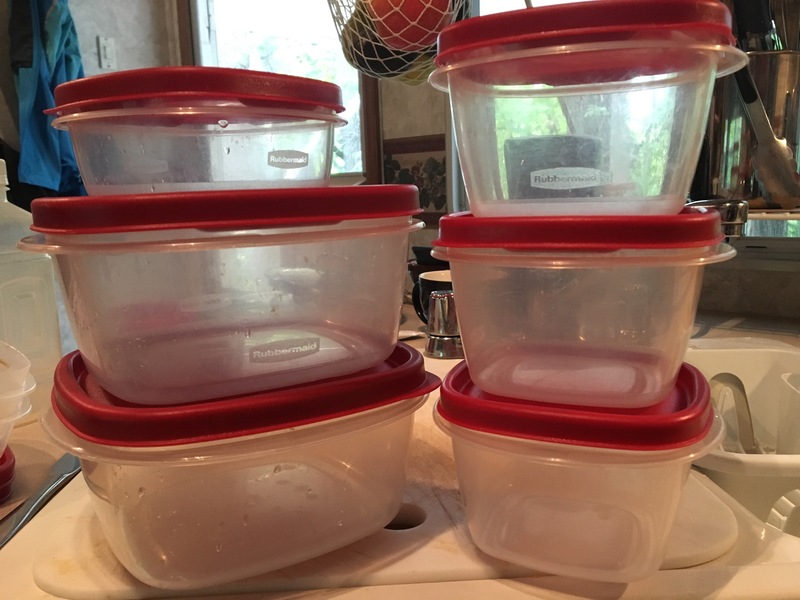 These containers are used on picnics, in the car, in the fridge for leftovers, and even turn into serving dishes or cereal bowls at times to reduce the number of dirty dishes. Honestly, this isn’t just helpful for traveling…do yourself a favor: throw away all your old mismatched containers and go buy a matching set! It will feel like they should do an article on you for Real Simple! Inexpensive purchase from Target…but used on the daily. One of the last things we picked up with all the money we made selling our possessions before we left was a handheld, rechargeable vacuum cleaner from Target. Our tiny house can go from clean to dirty SO FAST, but it can also be cleaned nearly as quickly. This little machine has been awesome for slurping up dirt and sand on our main floor, keeping our carpets fluffy, and even cleaning out the truck. It’s lightweight, just powerful enough, and simple enough for vacuuming to become a kid’s chore. When we bought Stumbo with a decent corded vacuuum cleaner already in stow. 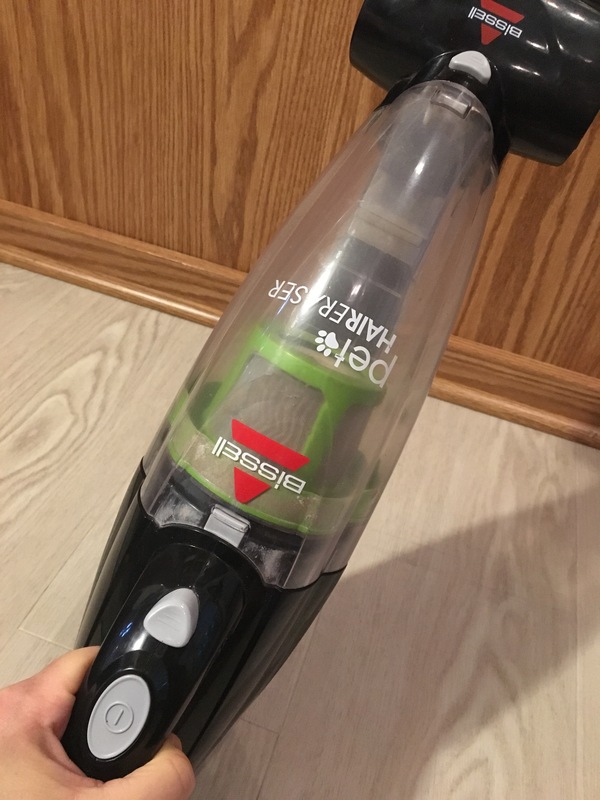 I’m sure it was higher quality, but the conveniences of this little thing has made it the perfect cleaning solution for our needs. I know that coffee connoisseurs say this is the best way…but it’s just not my favorite. We owned an espresso machine that we loved back at home, but it was too old and leaky to use in the trailer. We sported for a brand new one of the exact same model to bring along with us on the road. 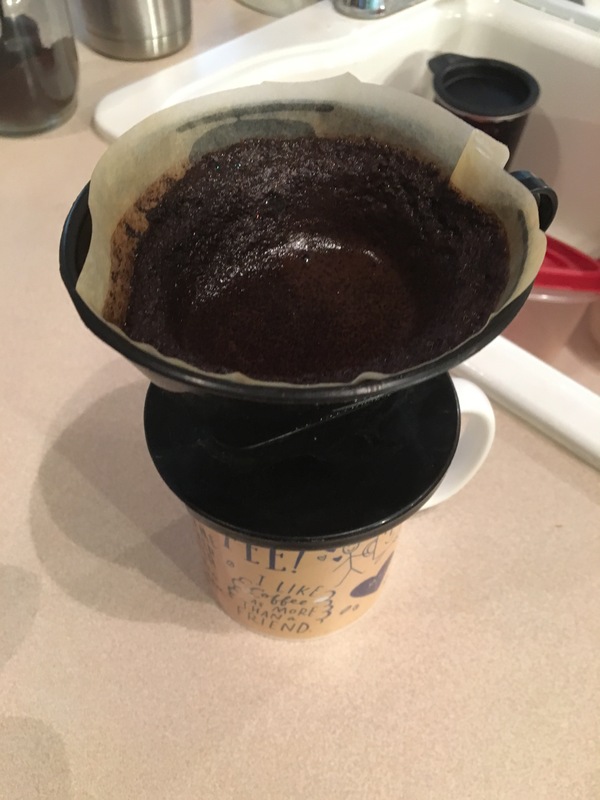 I battled with the new machine for months, thinking that the burnt tasting shots with no crema were just a product of the machine needing to be broken in, or coffee ground to the wrong texture, or some other type of user error. But finally at Christmas time, I took it inside my parents’ house and plugged it into a normal outlet, and I was forced to admit that somehow it’s just not getting enough electricity when it’s plugged into a socket in Stumbo. So in the trailer, it’s just not able to pull a good shot. I had been having 2-3 (kindof gross-tasting) lattes a day to get through the travel, especially in the early months on the road. But with sadness, I finally packed it away in March and it now lives in storage under the dining seats. So instead we bought an electric water boiler (that has also been useful for a surprising number of things) and I drink pour-over black coffee in the mornings. At first it didn’t really bother me. I mean, sure, I greatly prefer a warm latte in the morning and an iced one in the afternoon, but I’m nothing if not flexible! But as the weeks and months have gone on, I find myself missing my favorite type of morning joe more and more. So I leave this one on the list as a lesson to myself. Not because I can’t live without it, but because I thought that I couldn’t and I’ve proven that I can. There are so many things in my life that I tell myself I can’t live without. But this daily mediocre cup of coffee reminds me, on the regular, that a little bit of temporary discomfort can be well worth the return.